The Jewish Free Press, Calgary, March 2, 2006, p. 11. Herman, Geoffrey. "Ahasuerus, the Former Stable-Master of Belshazzar, and the Wicked Alexander of Macedon: Two Parallels between the Babylonian Talmud and Persian Sources." AJS Review 29, no. 2 (2005): 283-297. Lieberman, Saul. Hellenism in Jewish Palestine: Studies in the Literary Transmission, Beliefs, and Manners of Palestine in the I Century B.C.E. - IV Century C.E. 2nd improved ed. Texts and Studies of the Jewish Theological Seminary of America. New York: Jewish Theological Seminary of America, 1962. 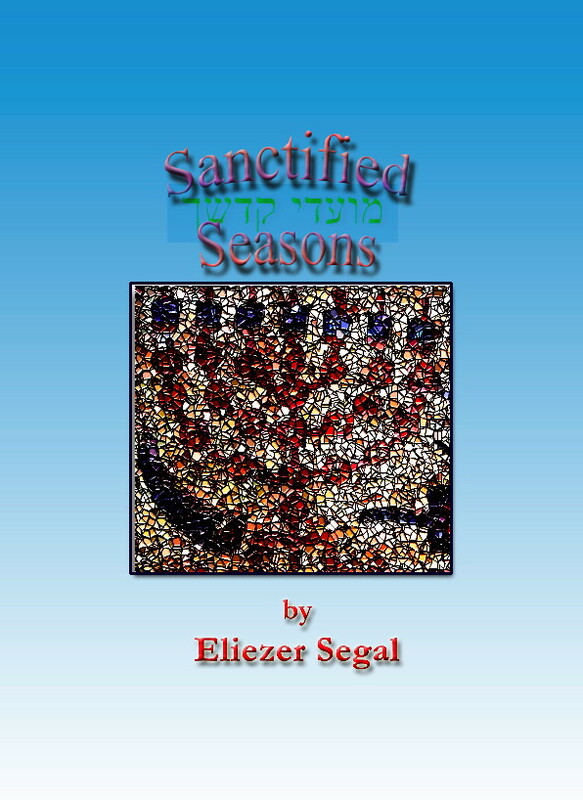 Segal, Eliezer. The Babylonian Esther Midrash: A Critical Commentary. 3 vols. Brown Judaic Studies. Atlanta: Scholars Press, 1994. When the ancient Jewish sages retold stories from the Bible, they occasionally added details that are not found in the original text. In most instances, it is possible to recognize that these additions were suggested by the rabbis' characteristic approach to reading scripture, which led them to pay close attention to tiny details, apparent redundancies and contradictions, or to analogies drawn from other parts of the Bible. These exegetical techniques are all part of the method known as Midrash. There are, however, some cases where the normal rules of midrashic interpretation are not adequate to explain all the peculiar embellishments that the rabbis inserted into the biblical narratives. For example, in the book of Esther, when we get to the scene where the irate Haman is commanded to lead his arch-enemy Mordecai through the streets on a royal steed, some rabbinic sources state that Mordecai trod on Haman's neck as he was mounting the horse. There is nothing obvious in the biblical text from which this detail could have been deduced. However, the rabbis' description of Haman's humiliation bears an uncanny resemblance to a story related by some ancient Christian writers about the Roman emperor Valerian. That unfortunate monarch, after being captured in battle by the Persian emperor Shapur I in 260, was reported to have had his neck used as a stepladder whenever Shapur wished to mount his horse. Most historians have treated the story about Valerian as a pious Christian fabrication --a fitting, but fictitious, retribution for Valerian's cruel persecution of the Christians in his empire. However, the appearance of this motif in the Midrash suggests that the ancient Jewish homilist was making an oblique allusion to an event that was well known to his audience. This could be construed either as a case of mutual borrowing between Christian and Jewish sources -or as evidence for the veracity of the tradition about Shapur's stepping on Valerian's neck. That story would have been so familiar to Shapur's Jewish subjects in Persian Babylonia that a preacher could safely allude to it as part of his Purim sermon. A similar phenomenon occurs in connection with another episode from the Purim story. When the Talmud comes to recount the story of Vashti's refusal to obey the king's order to appear before the guests at the royal banquet, it wonders what she could have said to him to provoke him to such intense anger. Rava claims to provide us with the precise words of her insolent refusal: You are the son of my father's stable-keeper! This passage is consistent with the widespread rabbinical tradition that Vashti was the daughter of Belshazzar, whose throne had been usurped by Ahasuerus. This identification allowed the rabbis to portray Vashti's unfortunate fate as the embodiment of the downfall of Babylonia, in fulfillment of the prophets' oracles against the destroyers of the holy Temple. But what is the point of Vashti's stable-keeper quip? What was there in the Biblical sources that could possibly have suggested to the sages that Ahasuerus had once served in this capacity? This odd remark takes on significance if we survey some events in the history of Babylonia. The emergence of rabbinic Judaism in Babylonia towards the beginning of the third century C.E. coincided with a major régime change in that part of the world. Until that time, the Babylonian territory was ruled by the Parthians, a relatively tolerant dynasty with Hellenistic leanings, who allowed their subjects, including the Jews, a great deal of self-determination in conducting their internal affairs. This situation came to an end in 226 with the advent of the Sassanian dynasty, who were committed to promoting Persian culture and nationalism. The Sassanians actively enforced Persian law throughout their empire, and zealously strove to advance the dualistic faith of Zoroastrianism. This policy created tensions with the Jewish community that occasionally found expression in the Babylonian Talmud. Not surprisingly, the dynasty's founder, Ardashir I, became the subject of legendary stories that were related by later generations. One popular tale spoke of Ardashir's spectacular rise from humble origins. He attracted the attention of the Parthian royal court thanks to his equestrian skills, which were greatly valued in that culture. One day, while participating in a hunt with the nobility, he got into an argument with the king's son, which brought him into royal disfavour--resulting in his demotion to a lowly stable-hand who was forbidden to ride horses. Ardashir's humiliation provoked him to rebellion. He led an uprising against the Parthian monarch, slew him, and usurped the throne (and, according to some traditions, married his beautiful daughter). It would appear, then, that in turning Ahasuerus into a royal stable-hand, Rava was not responding to any stimulus from the text of the Book of Esther; rather, he was inserting a topical reference into his exposition. As is the custom of preachers through the ages, the talmudic homilists liked to illustrated scriptural narratives with motifs taken from their contemporary or local reality, as a way of enhancing their relevance to their congregations. Ahasuerus was thus presented as a prototype for the Sassanian dynasty under whom they were living. Although the legend about Ardashir's demotion to the imperial stable does not show up in written sources until a considerably later time, the talmudic source suggests that it was current in the fourth century. In our own communities, some of us tend to get irritated if our rabbis seem to be expounding the newspaper headlines more than the religious texts. However, as we can learn from these examples, this practice can claim some ancient and respectable precedents. When the ancient Jewish sages retold stories from the Bible, they occasionally added details that are not found in the original text. In most instances, it is possible to recognize that these additions were suggested by the rabbis' characteristic approach to reading scripture, which led them to pay close attention to tiny details, apparent redundancies and contradictions, or to analogies drawn from other parts of the Bible. These exegetical techniques are all part of the method known as Midrash. In our own communities, some of us tend to get irritated if our rabbis seem to be expounding the newspaper headlines more than the religious texts. However, as we can learn from these examples, this practice can claim some ancient and respectable precedents. At the very least, we might infer that it is not always advisable to take wedding sermons too seriously.